The shape of your nose has a significant impact on how you look, which is why so many people contemplate rhinoplasty in the first place. Whether you want to improve your facial features or correct damage done by a traumatic accident, there are a lot of things to take into consideration before getting a rhinoplasty. Here are some questions you should ponder before committing to this life-changing procedure. 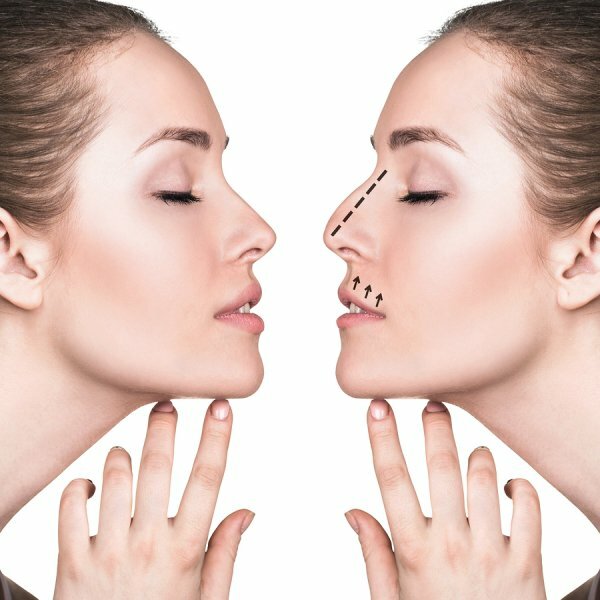 How long have I been thinking about getting rhinoplasty? Rhinoplasty is not a decision to be taken lightly. In fact, there is a big chance you will not be happy with the end results if you choose to undergo the procedure on a whim. Take your time deciding exactly what you want your nose to look like, and then wait at least 6 months to ensure that you still want the procedure. Am I healthy enough to undergo surgery? Every surgical procedure comes with risks, so it is important that you are relatively healthy prior to the operation. The healthier you are, the lower the risk for complications and the smoother the recovery time. If you are not particularly healthy, now is the time to get in shape and improve your diet! Am I mentally ready for rhinoplasty? When determining whether now is the right time for a nose job, you need to ask yourself why you want to undergo the procedure. The decision must come from you, and not as the result of peer pressure or recommendations from your friends or family. Also, if you have recently suffered any personal crises, make sure to resolve these issues before even considering surgery. The perfect nose does not exist and you cannot simply point to a photo in a magazine and ask your doctor to copy the look. Set realistic goals for your rhinoplasty and consult with your cosmetic surgeon to carefully craft a nose that appears natural and complements your facial features. Changing your appearance is a big step, so make sure you have chosen the right surgeon for the task. Here are some important questions to ask your rhinoplasty surgeon during your initial consultation. How many years of experience do you have in performing rhinoplasty? If you are ready to get the nose you have always dreamed of, the outstanding team at Island Plastic Surgery is happy to help. Contact us for a consultation today!